At least one external zipped pocket is useful for guidebooks, maps and GPS receivers, but some people like more and others can tolerate less. Stretch pockets without zips are commonly placed on the front of the rucksack and these are ideal for stowing waterproof jackets between showers. Pockets on the hipbelt are ideal for snacks and GPS receivers. Lid pockets are great for guidebooks, sunglasses or suncream. Located under the lid and attached to the body of the main compartment this extension of material provides additional protection for your kit. It will have a drawcord closure so you can close the top of the main compartment independently of the lid to ensure it is well protected from the elements. Originally designed for avalanche probes or ‘wands’, these pockets on the side of a rucksack are often made of stretchy, mesh fabrics and are ideal for stashing the ends of trekking poles, as well as smaller items including water bottles or snacks. The entry to the main compartment may be a conventional lid with a buckle or a zipped closure. There are pros and cons of both designs, with lids having the advantage that there are no zips to break, you can overstuff the bag and the lid often has an excellent pocket for smaller items such as maps and guidebooks. 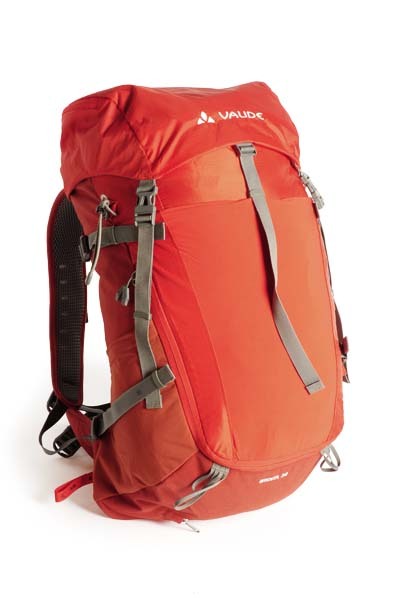 This is designed to carry most of the load if the pack is heavy, but when carrying lighter loads it may only be used to ensure stability of the pack. Either way, it should fit snugly around your hips while being comfortable and easy to adjust. Look for some foam padding for maximum comfort. So that you don’t get too sweaty, many rucksacks have mesh panels that hold the sack away from your body to increase airflow and reduce the horrid, clammy sensation that you get wearing some rucksacks. The greater the airflow across the back, the less sticky you will feel. These are on the sides of some rucksacks and allow you to compress the body of the sack to help stabilise the load. They are also useful for stashing items onto the side of the sack, such as trekking poles and waterproof jackets. The shoulder straps take some of the weight, but they need to be carefully contoured and padded to make them comfortable. As we are all different shapes it is important to try them for size, fit and comfort before parting with cash. If you like to use a hydration bladder with a feeder hose to drink from rather than a bottle, then look for a pack with a pocket for the hydration bladder inside. All the sacks featured here can accommodate a hydration system. IT'S GOOD The price tag is extremely competitive and notice that this is also a slightly larger capacity than some higher-priced rucksacks. While it’s not the lightest on test here, it is not the heaviest either. It even gets a trampoline-style back system to hold the sack away from your body and this creates masses of airflow to help reduce clamminess while wearing it. There is a supportive hipbelt and the back system is stiff enough for heavy loads. The main compartment has a conventional lid, and you also get a front zipped pocket, a pair of zipped side pockets and compression straps with quick-release buckles that work well with the mesh wand pockets. For most hillwalkers the Highlander Rocky has all the features you need. HOWEVER There are drawbacks as, firstly, it only comes in a unisex design with no women’s specific option – and no back length options, either. Also, there are no top tensioners on the shoulder straps, so there is less adjustment to get just the right fit. The shoulder straps are also less well contoured and less softly padded compared to others here, so comfort is not the absolute best. So, all in all, the Rocky is one to try before buying for sure. It is not the lightest, either, but you can remove the 69g raincover which comes with it if you want to save weight. VERDICT Outstanding value for money and while not the absolute best in terms of fit, if this does fit you then it is a great option for most hillwalkers. IT'S GOOD The low price tag is instantly impressive here – and it also has a reasonable weight (note that it is a 35-litre design as some lighter packs have a smaller capacity). The back system is a trampoline design, too, with a mesh panel holding the pack away from the body for maximum airflow. The body has a main compartment with a zipped opening and there is an additional zipped pocket near the top of the main compartment. You get mesh side wand pockets, as well as compression straps. So, all the basics are here, and there is even a removable 63g raincover. It works pretty well, too, for normal hillwalking. HOWEVER There are a few drawbacks. Firstly, it only comes in one size – there’s no women’s specific option – and there’s no back length adjustment either. It’s not quite as comfy as higher-priced designs, so you do need to try this before buying. Also, you are getting a zipped opening to the main compartment rather than a buckled lid, and while both styles have their pros and cons not everyone will want a zipped opening. The small zipped pocket provided is quite small but at least it does just about take an OS map. There are no other pockets, though. Side compression straps do allow poles to be strapped to the sides, but quick-release buckles are much easier to use. IT'S GOOD This new pack for March 2018 is very light and has a slightly bigger capacity than some heavier and higher-priced rucksacks. The back system is lightly stiffened with cutaway sections and a mesh covering to allow some limited airflow. This comes in back length options but, in addition, you can raise or lower the shoulder straps on Velcro fastenings. On the body this pack tends to hug and mould to your body better than most. There is a simple one compartment design for your gear, with a single buckle lid that has a good pocket. The side compression straps and mesh wand pockets work well and there is a large, side zipped mesh front stash pocket for wet items. HOWEVER The back doesn’t provide the airflow that others offer, so it’s slightly more sweaty in warmer weather. Also, the back is not as stiff as others so you have to pack it a little more carefully to prevent items digging in. The back system is generally not as supportive for heavier loads than others on test here, so comfort reduces as the load increases. I like single buckle lids but there isn’t a deep snowlock extension to the main compartment so a little more care is needed when packing. Some people will love the design, while others will want everything it lacks. VERDICT Light and ideal for hillwalking with careful packing and if you don’t want max airflow for warmer weather. IT'S GOOD Like many Lightwave packs this is a stripped-down design to save weight but it still has the essential features hillwalkers need. So you get a robust construction with all the seams on the body and lid being either taped or welded to prevent water creeping into the compartments. The back panel is a firm, closed cell foam which doesn’t soak up water as easily as other packs. The back, hipbelt and shoulder straps are stiffer than lighter designs, too, so this can be used for loads up to around 7-10kg, and there are mesh side pockets that are very deep. 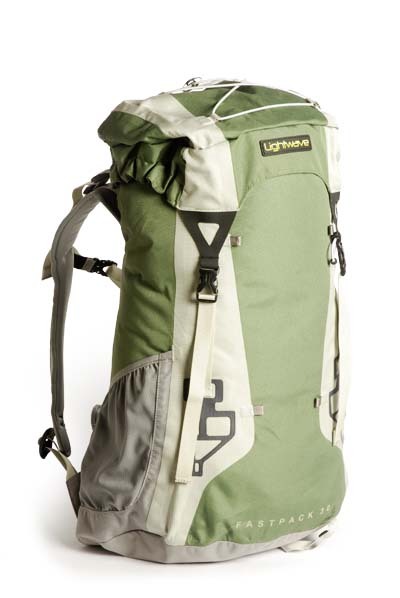 This is great if you like more stripped-down designs and want a lighter rucksack with more water resistance. HOWEVER The stripped-down design lacks many features. Firstly, it only comes in one size, with no women’s option, so you need to carefully check the fit. Also there is less airflow across the back than others tested, so it is a little more sweaty than them. I like the mesh side pockets but compression straps with quick-release buckles would be a good addition for stowing items, such as wet waterproofs or trekking poles, to the pack more easily. This is a rare pack in not having pockets on the hipbelt, and also the lid only has one big external pocket rather than an additional smaller pocket that many others have. VERDICT A relatively light pack that has stripped-down features and a more water-resistant design, but you may miss some of those nice-to-have features. IT'S GOOD The men’s and women’s packs both benefit from a Aeroflex back system that allows excellent airflow across the back. The shoulder straps and hipbelt are perforated for yet more airflow, and you can adjust the shoulder straps to lengthen or shorten the back length. The main compartment is top entry with a fixed lid that has a large pocket. Plus there’s a front zip opening and mesh wand pockets on the pack sides, as well as quick-release buckles on the compression straps (men’s Brenta only) for easy stowage of trekking poles. A big, front stash pocket is great for waterproofs between showers. HOWEVER The women’s Maremma 32 does not get the compression straps, wand pockets and big front stash pocket, but instead gets big side pockets and you can still attach trekking poles with the dedicated straps. If you want to save weight then it’s possible to get lighter packs although the difference is relatively small. The weight does include a 73g raincover, which you can remove. You can get slightly lower-priced packs, too, and although they don’t quite have the benefits that this pack offers they would suit the needs of many walkers, for sure. 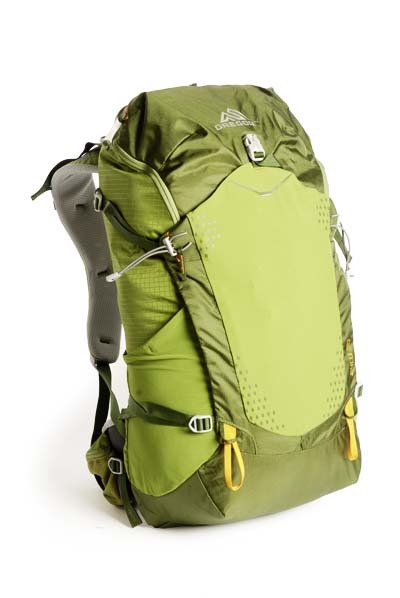 So there is really not a lot wrong here for most hillwalkers in search of a comfortable pack. 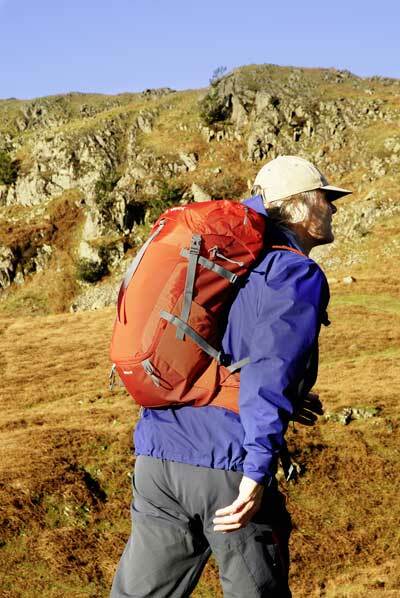 VERDICT A great general-purpose hillwalking rucksack with only small benefits available in other packs. IT'S GOOD The Zulu and Jade packs are very popular and come in various sizes. These 30 and 28-litre versions have a zipped closure to the main compartment rather than the buckle lid of the Zulu 35 and Jade 33. The back systems are the same, though, with a CrossFlo back system providing lots of airflow as well as very good stiffness and padding for stability and comfort when carrying heavier loads. Both the men’s and women’s styles come in two back lengths. The body has a zipped main opening with a zipped and very large front pocket that’s great for maps. The side compression straps have quick-release buckles and you get stretch wand pockets as well as a stretch front pocket. 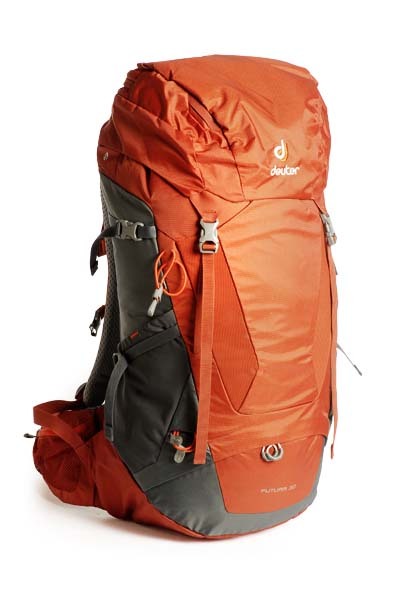 HOWEVER This isn’t the lightest option available and you don’t get a raincover for that weight, or the additional pockets and compartments of some other heavier packs. However, it’s able to carry loads up to 14kg in more comfort than others. For my money I’d prefer the buckle lid of the Zulu 35/Jade 33 style rather than a zipped opening. Otherwise it’s an excellent pack and it’s hard not to like it if you prefer zipped openings. You can spend less cash if you can tolerate a less supportive back system and don’t need such great airflow. VERDICT Excellent if you prefer a zipped opening and a supportive back system, but lighter packs are available with buckle lids. IT'S GOOD The Airspeed back system allows excellent airflow and this pack is very comfy around the hipbelt area, too, as the mesh from the back extends into these areas. 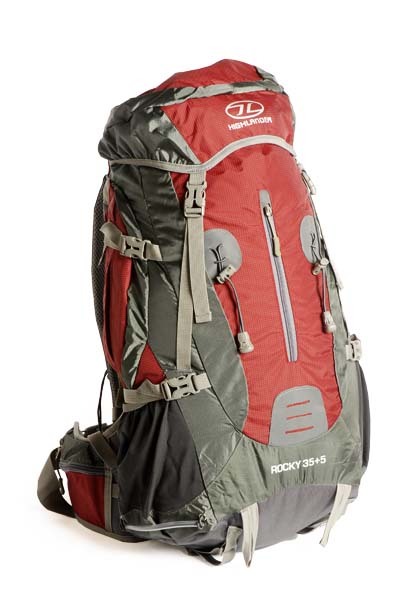 You can adjust shoulder straps to lengthen the back system, and this pack supports a bigger load better than others. The load-carrying compartments favour those who like zipped pockets and openings as there is no buckle lid, just a zip closure to the main compartment of the rucksack. But you also get a zipped top pocket, front pocket and base compartment, plus a zipped pocket for a raincover. There are mesh wand pockets and quick-release compression straps, too. 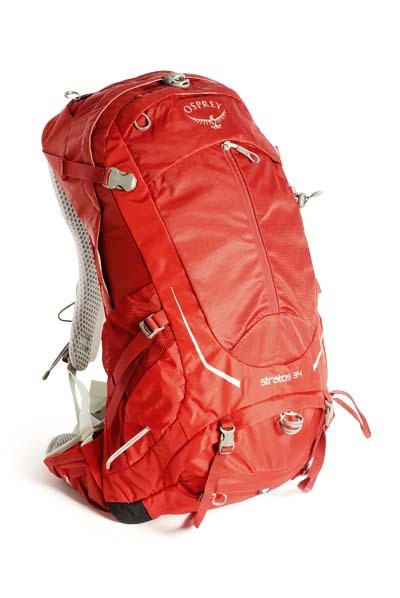 HOWEVER This pack is quite heavy when compared to others due to the stiffer and more supportive back system, the number of zipped pockets, the included 83g raincover, its large capacity and the use of heavy duty, durable materials. Then there’s the question of whether you prefer a main compartment with conventional buckle lids or zipped openings. There’s a lot to consider here at the slightly higher price tag (£110 Stratos, £120 Sirrus) than the others. So, do you really need those benefits? VERDICT Great pack if you like zipped openings and a more supportive back system, but lighter and lower-priced packs offer most of what many hillwalkers will need. IT'S GOOD This is a new 2018 version of the popular Futura range but now with a whole new Aircomfort Sensic back system that allows more ventilation and a closer, more comfortable fit – particularly around the hips. There is still lots of support in the back system, so it’s ideal for heavier loads. The body has a main compartment with a zip-out divider so you can create a base compartment with an external zipped entry. You also get side wand pockets with quick-release compression straps, a stretch front stash pocket and a fixed-buckle lid with external and internal pockets. The materials feel a little more robust than some lighter packs. HOWEVER It’s heavy compared to others although it does include a removable 73g raincover. It has no back length adjustment and only comes in one size, while others have more size options. There is no snow lock extension to the main compartment either, which is fine if you close the lid properly and don’t overfill the bag, but if you are more lax in your packing, like me, then you may miss that feature. 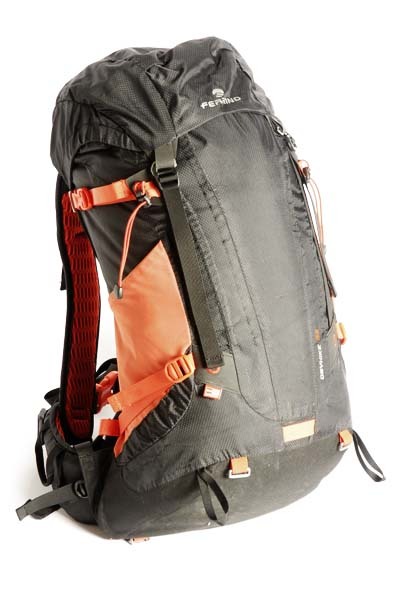 Finally, the price tag is high compared to other packs that may even offer more capacity or additional back length options. VERDICT The 2018 version of the Futura is comfortable, strong and stable, but it’s also heavy, pricy and lacks an extended snow lock closure and back length options. IT'S GOOD Most rucksacks leak through the seams, but this one has the seams of the main compartment sealed to lock out water and uses OutDry technology, which bonds a waterproof layer to the main fabric. You also get a roll-top closure to the main compartment under the more conventional buckle lid. I like the drawcord to the main compartment so you don’t need to roll the top when using the fixed normal lid. The lid has good pockets and the body has compression straps with quick-release buckles and there are mesh wand pockets. The back system uses a trampoline mesh design to allow plenty of airflow across the back and the hipbelt is supportive. HOWEVER There is no women’s option, no back length options, it’s a little heavy and you don’t get a front stretch stash pocket or a lower compartment for wet waterproofs. In a normal rucksack you would have a loose waterproof rucksack liner inside the main compartment so you could put wet items into the main compartment but outside the waterproof liner. In this pack you cannot do that, unless you add another waterproof liner which defeats the object of having a waterproof rucksack in the first place. The price is high, too. So with the cost and weight drawbacks you are going to have to really value that waterproof construction. VERDICT The waterproof main compartment sets this apart, but its value is questionable when weight, price and fit options are also considered.